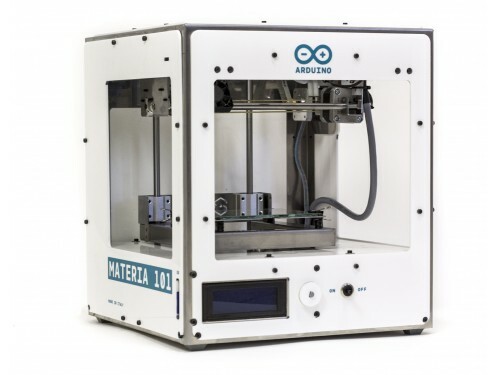 Arduino Materia 101 is the ideal 3D printer to enter the 3D printing world! 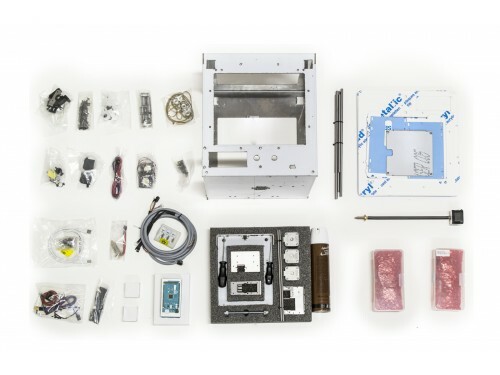 Arduino Materia 101 is the first official Arduino 3D printer. It uses an Arduino Mega2560 with a shield specifically made for controlling 3D printers. It's a small machine, with a sheet metal design housing the moving parts. The design is straightforward and easy to understand, which makes it a good machine for beginners, or up-and-coming hardware hackers who want to improve and experiment. Arduino Materia 101 is an open-source machine, from the design of the mechanics to the electronics and firmware, as all Arduino products. It is fully compatible with other open-source design tools such as: Slic3r, OpenSCAD, blender with many many more. This product comes in a kit that can be assembled by a beginner in about 6 hours. As part of the Arduino family, also Materia 101 shares an OpenSource heart. Check the following links in order to access to the great databse of information we have available for you. How does a 3D Printing machine works? With this simple manual you will be able to print your first project from scratch. Available in two languages, Italiano and English. 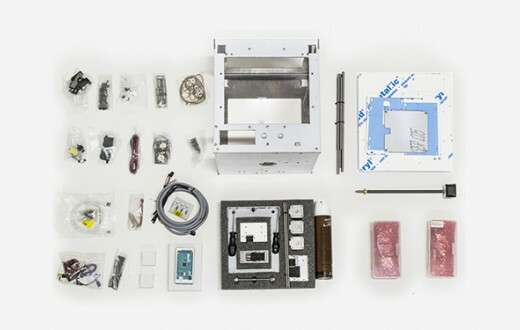 Have you ever assembled a 3D printing machine? It may be quite frustrating at the very beginning of your career as Maker. Here a simple guide to start with, both available in Italiano and English. Download here your Materia 101 firmware or check the latest version on GitHub. We suggest you to start using Slic3r but there are so many online. Find the one that perfectly fits for you. Before start printing the Taj Mahal natural size, run a test! Download your test print gCode at the following link.